In America, we all share in the immigrant experience. We all have people in our families who were brave enough, scared enough, or crazy enough to leave their home countries to come here. 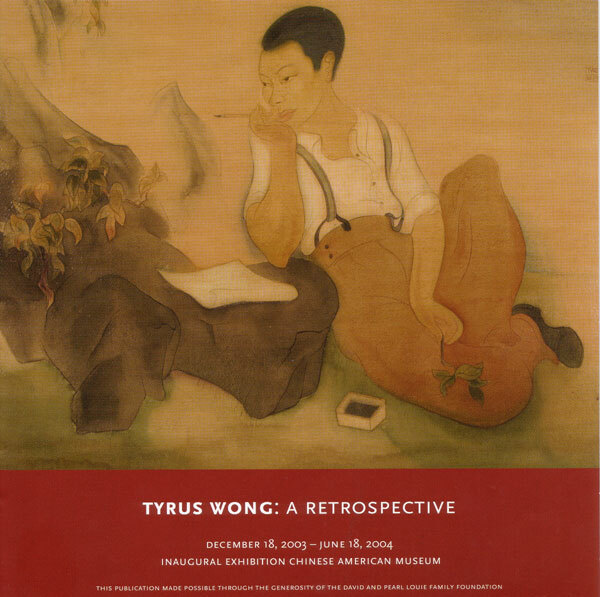 What are some of the similarities and differences between the experiences of Lisa’s Chinese-American family and the experiences of your family? Lisa tries hard to be objective in On Gold Mountain, which is difficult to do because of its personal nature. Do you think she succeeds? Why or why not? What do you suppose Lisa’s family’s response was to the book? How do you think your family would react if you wrote your family history? Lisa has said, “We tend to learn history in terms of dates, wars, and laws, but I think it’s about how those dates, wars, and laws affect real people. How do we act or react in the face of challenges? Do we struggle and fail, or do we succeed in spite of them? Do we find happiness or despair?” Can you pinpoint particular moments in history—the American Civil War, the Depression, World War II, or the Vietnam War—that have affected people in your family or changed the course of your family’s history? Immigrants bring many things with them to the U.S.—art, religion, food, and dress, to name a few. In the Chinese culture, food is a way for families to gather together and celebrate. It also has many other traditional meanings. What did food mean in your family? What special dishes were made? Have they changed and evolved through time? 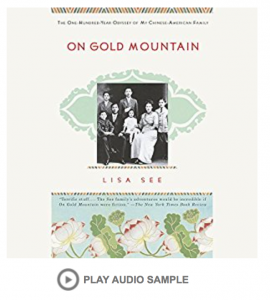 While many people initially read On Gold Mountain because they’re interested in learning about the Chinese-American experience, they often become more attached to the stories of the white women—Ticie, Stella, and Carolyn—who married into the See family. What characteristics bound those three women together? What characteristics separated them from each other? A recurring theme in Lisa’s books—and it started with On Gold Mountain—is lost women’s history and stories. For your book group to gather today you have to have had many strong, brave, enduring, and triumphant women in your families too. How and why are women’s stories neglected? Discuss the experiences of women in your families. 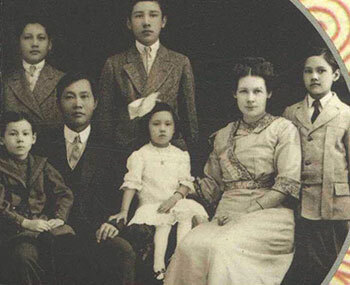 It could be argued that Fong See, the family patriarch, is the most important person in the book. What values make him successful? What are his weaknesses? What do you think of his separation from Ticie? What is the most surprising thing you learned about Chinese immigration to America as a result of reading this book? Were you surprised by the anti-Chinese laws that were passed locally and nationally? Can you think of other instances where laws have been targeted against a particular group in your area? One of the underlying themes of On Gold Mountain is personal identity. Were the Sees (and Fongs) Chinese or American? Did it depend on the color of each person’s skin or on the personal choices he or she made? Consider the individual choices that Ming, Ray, Bennie, Eddy, and Sissee made. At what point in your families did people change from being immigrants to Americans? What was involved in that process? Toward the end of the book, Lisa writes about her journey to Dimtao. Why was it important for her to make that trip? What do you think is meant by the last line? If you have the updated version of On Gold Mountain, you have a new final chapter that includes materials about the family that have recently come to light. How do you interpret the letters that were written to Ticie? 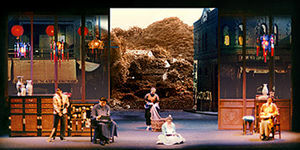 On Lisa’s web site, there is a section called Step Into the World of On Gold Mountain, which includes some of her original source material, See family memorabilia, and links to the L.A. Opera production of On Gold Mountain and to the exhibits based on On Gold Mountain at the Autry National Center and the Smithsonian. Do these materials affect or change your reading of the book? Questions from readers about Lisa See‘s life and work. Send an email to ask your own.